Welcome to the Guitar Speak Podcast. Today we speak to New Yorker, Rob Balducci. 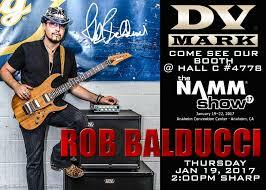 Rob is a fantastic rock instrumentalist with several albums on Steve Vai's Favoured Nations label. He is an Ibanez, D'Addario and Atomic amps endorser, to name just a few of the companies he has had long associations with. We talk influences, career development, gear - his Custom Shop Ibanez guitars are too cool - and his latest album '812 Monroe Drive'.